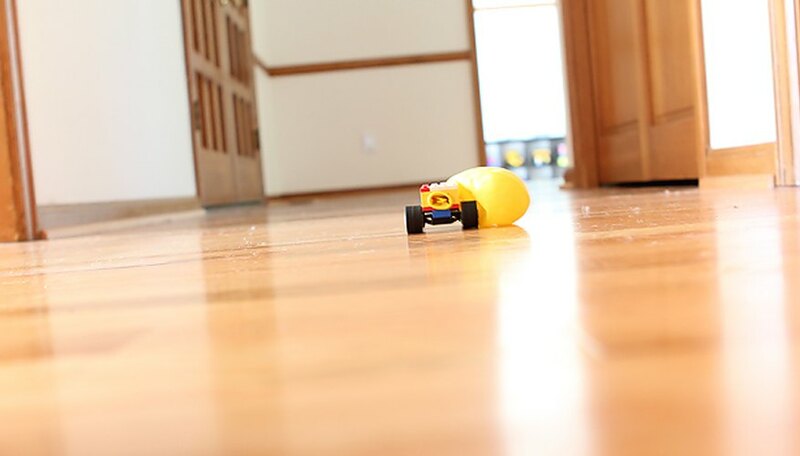 Kids love things that go vroom, especially when they’ve masterminded the vehicles themselves. After all, what’s more fun than building a car then racing it against your friends, or just challenging yourself to keep creating a better, faster car? 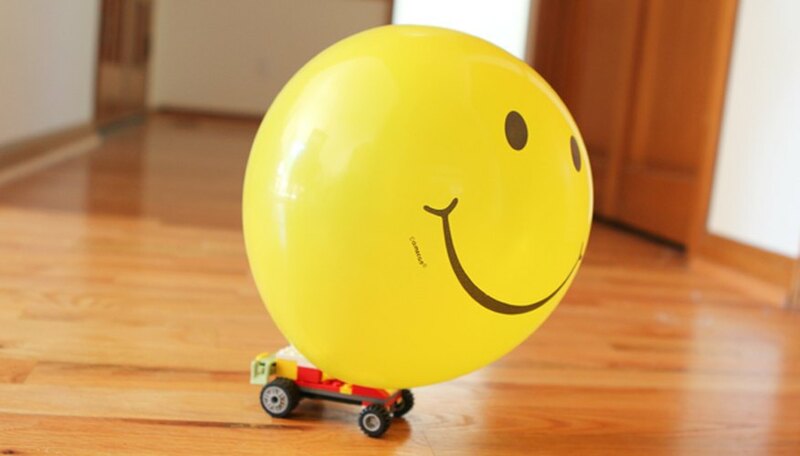 Bring the excitement of this activity up a notch with another thing that kids universally love: balloons. 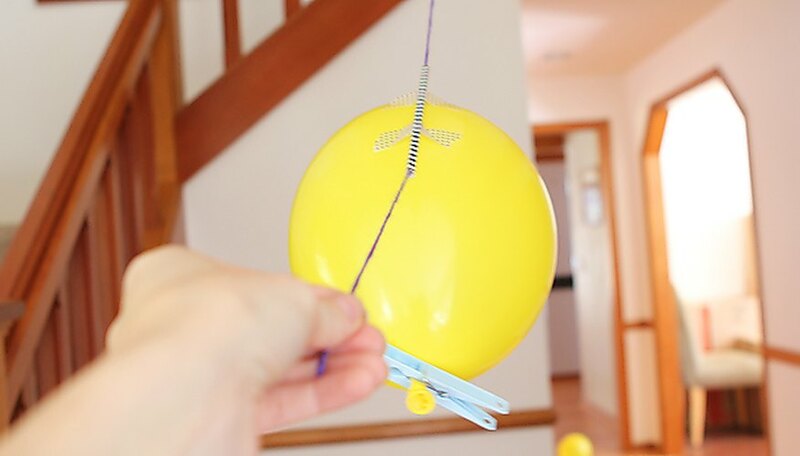 The next time boredom strikes, round up some balloons, straws, and LEGOs. 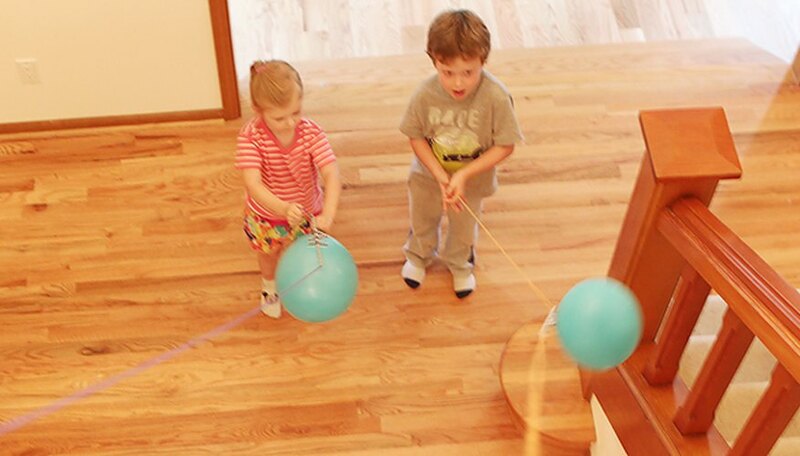 You’ll have not one, but two ingenious ways to keep the kids busy for hours. 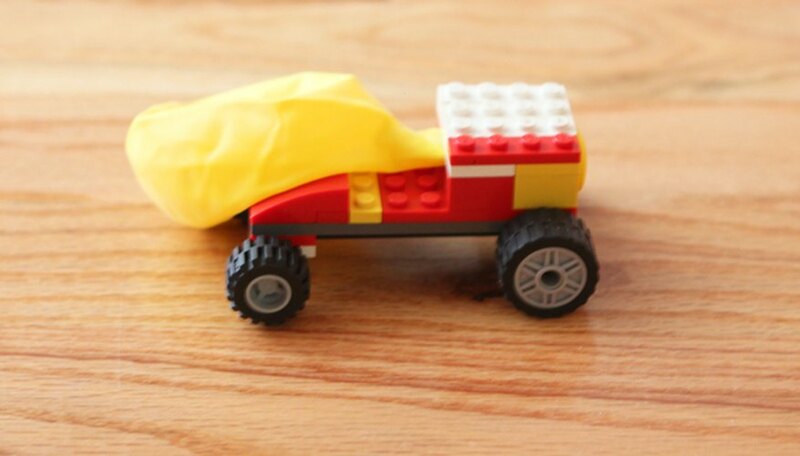 In order to make a balloon powered car, your child will first need to build the car. We chose LEGOs because they’re lightweight and can be used in lots of ways but the sky’s the limit when it comes to possible building materials. 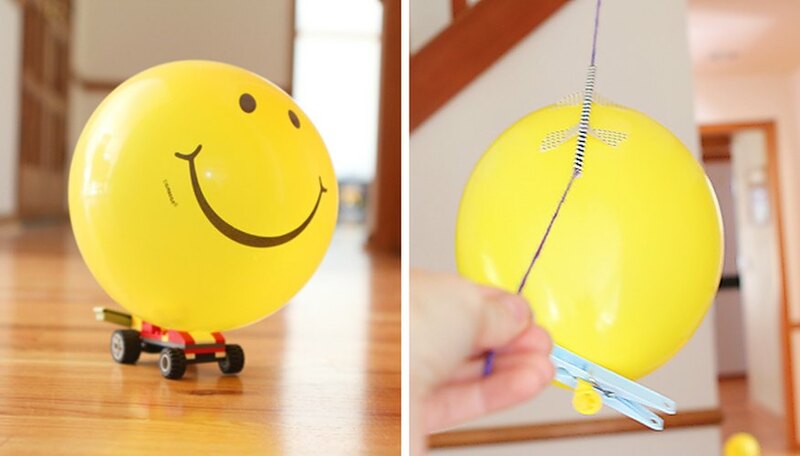 The key is to add a small tunnel somewhere in order to slide the end of the balloon through. Once the car is built, insert the end of the balloon through the tunnel and blow it up. Then use a bag clip to keep the balloon sealed until you’re ready to race. Remove the bag clip, let the air out of the balloon, and watch the force propel the car forward. 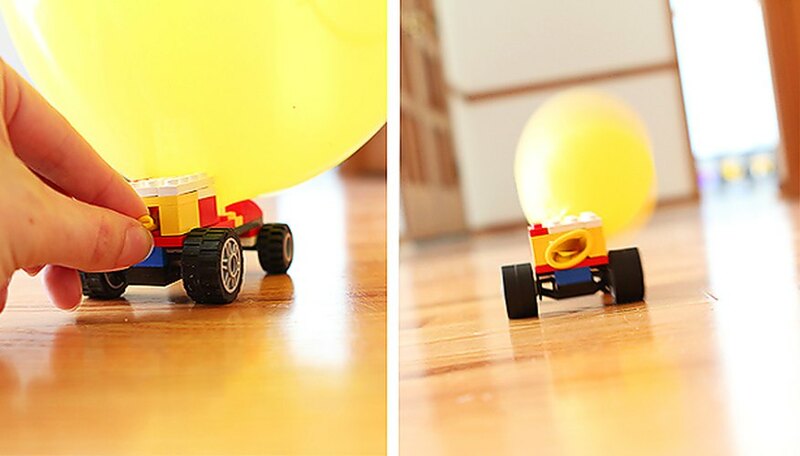 Encourage your kids to play scientist by exploring the effects of different sized balloons, wheels and cars. When everyone’s finally tired of the cars, it’s time to break out the straws and string to extend this activity even further. 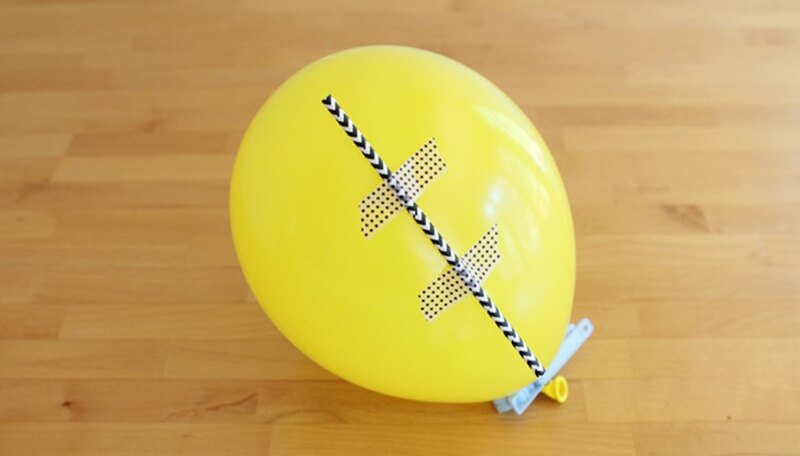 Inflate the balloon, clip it closed, and tape the straw to the balloon. Next tie one end of the string to a high spot and thread it through the straw. Hold up the end of the string with one hand and the balloon in the other. Now all that’s left to do is let go and watch the rockets fly. Morgan, Stephanie. "Rocket Balloon Races, Two Ways." 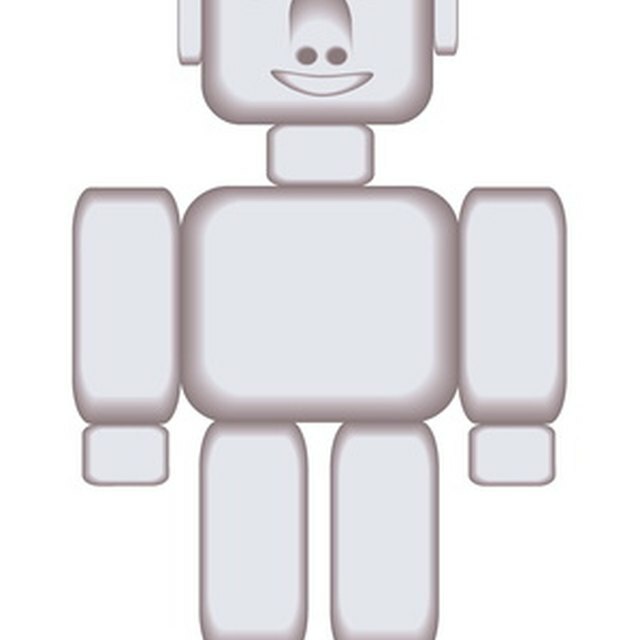 Sciencing, https://sciencing.com/rocket-balloon-races-two-ways-13557939.html. 17 October 2017.